Elon Musk is sinking large amounts of money into something that scares him: artificial intelligence. The Tesla and Space X founder is a noted artificial intelligence critic. Now he's one of a number of big name technology investors behind a new non-profit artificial intelligence research center. Launched on Friday, OpenAI's goal is to develop AI safely and share its research widely. It's AI is specifically meant to be used in ways that will benefit humanity. The group could still decide to keep some research private if they feel there are safety concerns. OpenAI's backers -- a group that includes Musk, Peter Thiel, Y Combinator's Sam Altman and Jessica Livingston, and Reid Hoffman -- are committing $1 billion to the project. OpenAI will start small, with nine full-time researchers working out of an office in San Francisco, though Altman says it could double in size in a year. Well known AI researcher (and former Google employee) Ilya Sutskever will be the group's research director. Many major technology companies are heavily invested in developing their own artificial intelligence engines, including Facebook, Google, Microsoft and Apple. AI is already used in technology today, including Musk's Teslas and Facebook's photo tools. While these companies share some findings openly, the fact that they are developing tools for profit is worrisome to many in science and technology. "I believe it's better to empower human kind with distributed artificial intelligence than a central artificial intelligence controlled by a single company," said Altman in an interview. Musk has called artificial intelligence "our biggest existential threat." Earlier this year, he joined Stephen Hawking, Bill Gates and other respected science and technology thinkers to issue a warning that artificial intelligence could be more dangerous than nuclear weapons. 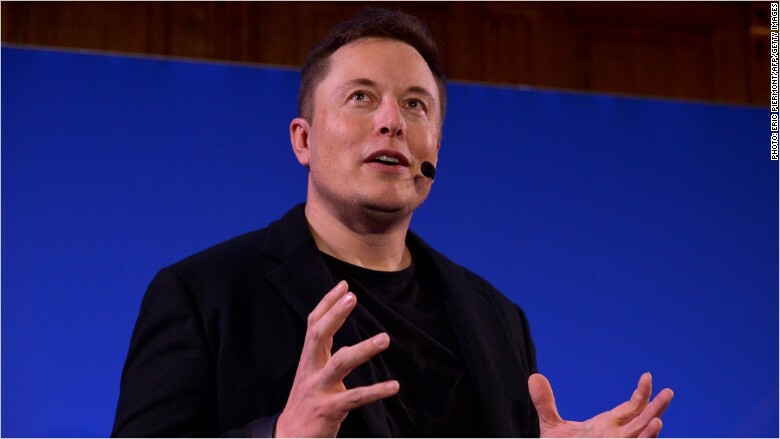 "Humanity's position on this planet depends on its intelligence, so if our intelligence is exceeded, it's unlikely we will remain in charge of the planet," Musk previously said in an interview with CNN. Though he was an investor in artificial intelligence companies Deep Mind and Vicarious, Musk said it was to keep an eye on them. "It's hard to fathom how much human-level AI could benefit society, and it's equally hard to imagine how much it could damage society if built or used incorrectly," OpenAI's team said in a post announcing the project. Altman has concerns about the technology, but instead of being worried and doing nothing, he feels it's better to be active in the field. "I sleep better knowing I can have some influence now," he said.